As you may already know, recently Google has released a new IoT operating system called Android Things. Android Things is OS derived from Android and the interesting part is that we can re-use our Android knowledge to develop Android IoT app. Before diving into Android IoT app, it is important you know what is Android Things and how it works. In this Android Things tutorial, that explains how to build an Android IoT app using Android Things, we will use Raspberry Pi 3 as IoT development and prototyping board, even if you can use other development boards compatible with Android Things. 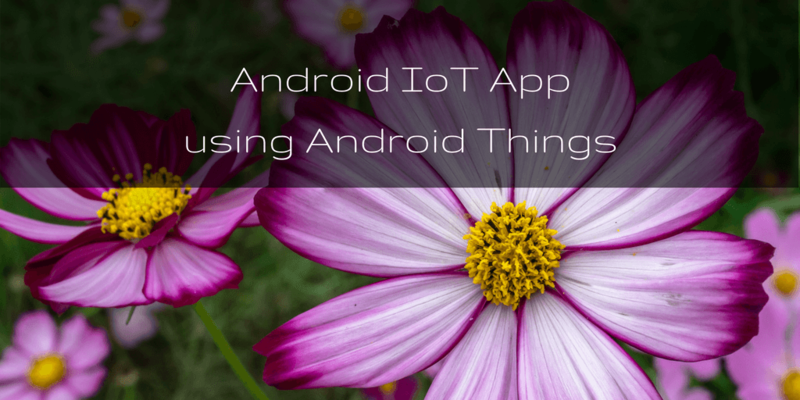 This Android IoT app helps you to familiarize with new Android Things APIs. Moreover, this IoT app is useful to have an overview of how to develop an Android IoT app UI. Once you have learned how to build an Android IoT project using Android Things, you can expand it further and add new features. Moreover, Android Things supports not only Leds, but other kinds of peripherals (as motors, servo and so on). This Android IoT project is the starting point to know Android Things and learn how to capitalize your Android experience and apply it to a different field related to the Internet of Things (IoT). These pin numbers are important because later we will use them in the Android IoT app. Check twice the connections before powering Raspberry on. Android Things uses an Activity as we are used in Android. So let’s create a class called RGBThingActivity and in onCreate method, where we handle Pin communication. To handle the communication to the RGB Led, we use GPIO Pins. GPIO pins use a programmable interface to read the device status or to set the output value (High or Low). 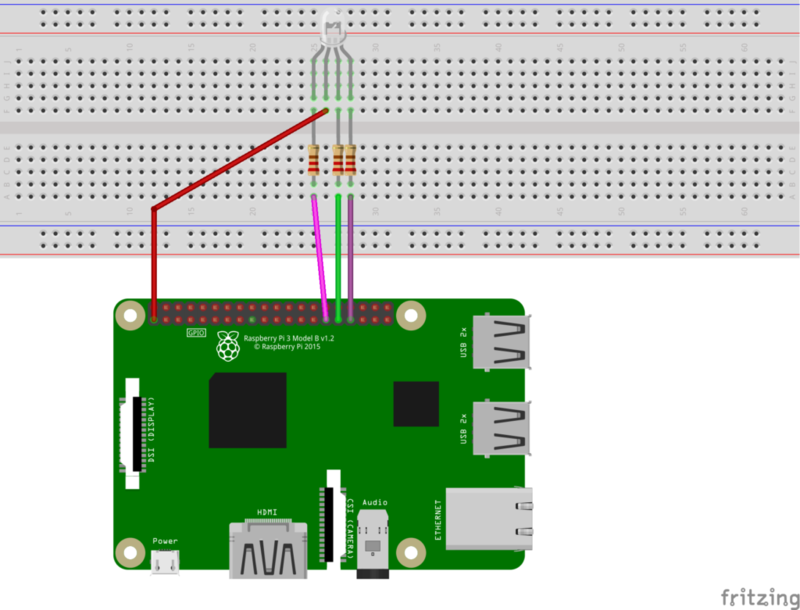 Using Raspberry GPIO Pins, we turn on or turn off the three color components (Red, Green, and Blue). In the beginning, we turn all the pin to low (or off), so the Led is off. Changing the pins values: low to high or high to low we have different led colors. At the end of this post, you know a bit better how to use Android Things. The interesting aspect is that using a few new APIs Android developers can be ready for the next technological revolution called IoT. Moreover, the development process is the same used in Android app. Using a few code lines, an Android developer can build an Android IoT app. At the end of this tutorial, you hopefully gained the knowledge about how to develop an Android IoT app using Android Things. Furthermore, you learned how to develop an Android IoT app with UI to interact with a user. Where can you go from here? Well, there are several options and this is the first step. It is possible to build an Android IoT user interface to control other kinds of peripherals or you can use different Android Things pins (not only GPIO) to send other kinds of signals (like PWM). while Deploying have you created 2 different app i.e 1 for RPI3 and other for Android? if so, then how they are communicating. Have you implemented firebase? it would be great if you can provide the source code.